The U.S. Chamber Institute for Legal Reform is a nonprofit organization that promotes changes to the legal justice system. It is an affiliate of the U.S. Chamber of commerce. The Institute periodically drafts a list of the ten most ridiculous lawsuits. The lawsuits described below are included in the Institute's 2018 list. Don't Drink That Cup of Joe! It's Toxic! In 2010 and 2011, the Council for Education and Research on Toxins (CERT) filed lawsuits in California against 91 coffee sellers. CERT accused the defendants of violating a state toxins law by failing to warn consumers that coffee contains acrylamide, a carcinogen. Then in March of 2018, a Superior Court judge in Los Angeles ruled that coffee is subject to the toxins law and that consumers must be warned that their cup of joe might cause cancer. 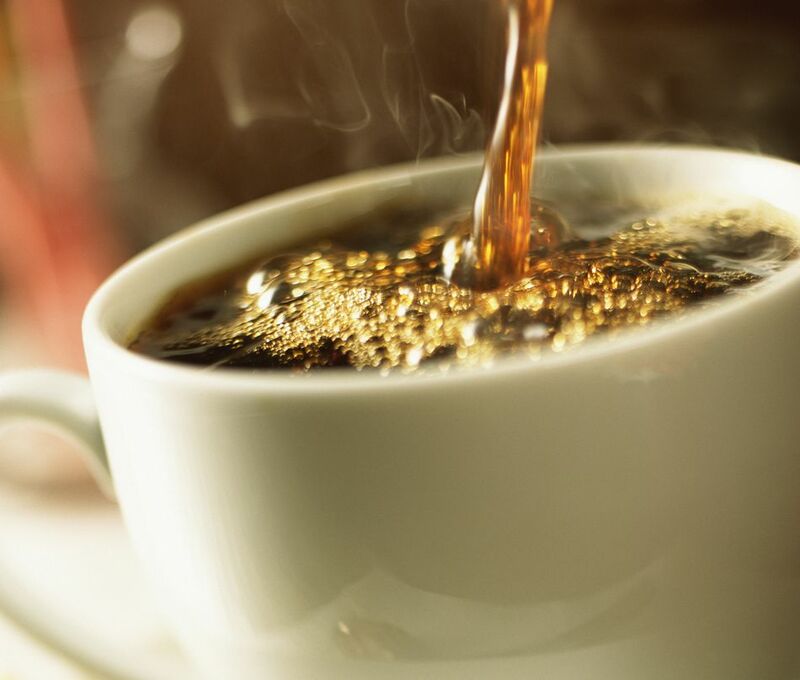 Three months later, California's environmental health agency proposed an amendment to the toxins law stating that the chemicals in coffee don't pose a risk of cancer. A trial scheduled for October was stayed by an appellate court. So far, no decision has been made as to whether coffee qualifies as a carcinogen in California. That Snack Bar Contains a Dangerous Chemical Called Vitamin C! Kind LLC, a manufacturer of snack bars, has been hit with a class-action lawsuit for misleading consumers about the fruit it uses in its bars. The suit alleges that Kind deceived customers because its product labels and descriptions suggested that the bars contained unprocessed fruit. In reality, the bars are made of dried fruit, some of which is pre-treated with a sugar solution. The plaintiffs also accuse Kind of using chemical-sounding names like ascorbic acid (otherwise known as vitamin C!). There's Too Much Air in My Box of Candy! Several people filed a lawsuit against Tootsie Roll Industries, claiming that the box the company used to package its Junior Mints candies contained too much air. The plaintiffs alleged that the packaging misled consumers because it appeared to hold more candy than it actually did. A federal court judge in Manhattan disagreed and dismissed the case. The judge contended that reasonable consumers know that candy boxes contain some air. Can't You Please Make Me Twenty Years Younger? A 69-year-old Dutchman petitioned a court in Arnham, Netherlands, to make him 20 years younger by changing his birth date from March 11, 1949 to March 11, 1969. He claimed he suffered age discrimination in the job market and on dating websites, and that his chances of success in those areas would improve if he were 20 years younger. The court declined his request, contending that many legal rights and duties are determined by age. I'm Not Aggressive, I'm French! A Frenchman living in Canada filed a complaint with the British Columbia Human Rights Tribunal against his former employer. The man had been employed as a waiter at a Vancouver restaurant but had been fired for being too aggressive with his co-workers. In his complaint, the man argued that his fellow employees had misinterpreted his behavior as aggressive when he was simply behaving as a typical Frenchman. It Was Fire Ants, No Wait, It Was Sulphic Acid! In 2011, a Florida tow truck driver responded to a traffic accident involving a tractor-trailer that crashed on Interstate 75. He was clearing the wreckage when he was bitten by fire ants. During medical treatments he received, he told his providers that his injuries were caused by ants. The driver then sued the trucking company (owner of the tractor-trailer), claiming that his injuries were caused by sulfuric acid. The driver was awarded over $5.2 million in damages. An appeals court overturned the ruling in 2018. What, You Expect Me to Read the Label on the Bottle? What do you think of when you hear the name Kona Brewing Co.? Pineapples and Mai Tais? Craft Brew Alliance Inc., which makes Kona Brewing Co beer, is the subject of a class-action lawsuit. The plaintiffs contend that the company uses images and statements (like "liquid aloha") on its beer cartons that make consumers think the beer is brewed in Hawaii. The beer is actually brewed on the mainland. Customers can determine where their beer was brewed by reading the label on the bottle. Two McDonald's customers sued the company for $5 million because they were charged for cheese on the cheese-free burgers they bought. According to the plaintiffs, McDonald's used to offer Quarter Pounders without cheese at a lower cost than the regular (with-cheese) variety but the cheeseless option is no longer available. Now they were forced to pay for cheese they didn't want. A judge dismissed the case, contending that the plaintiffs failed to prove they'd been harmed by the cheese charge. There's No Ginger in My Ginger Ale! A class action lawsuit filed against Dr. Pepper Snapple Group, which makes Canada Dry Ginger Ale, has been settled for $11.2 million. The plaintiffs argued that the manufacturer's packaging misled customers by stating that its ginger ale is made from "real ginger." However, the drink is primarily flavored with chemical compounds not derived from ginger. The ingredients are listed on the label. How Heart-Healthy Is That Tuna? A man has sued the Starkist Co. for false advertising. He claims the company has misled consumers by using labels stating that its tuna has been certified as a heart-healthy food by the American Heart Association. Those statements are misleading because Starkist has failed to reveal that it paid the Association for the heart-healthy endorsement. Class Action Lawsuit - What is It?